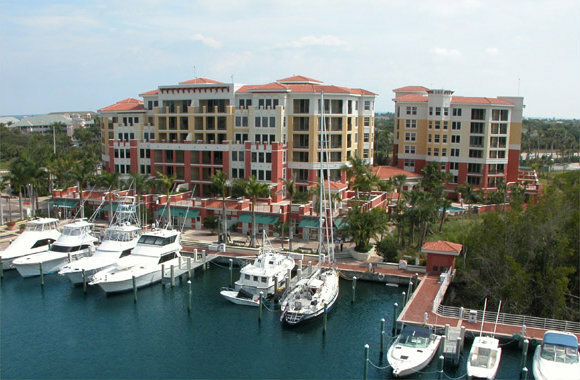 Jupiter Yacht Club is a prime waterfront condo community, built between 2002 and 2005, that overlooks the Intracoastal Waterway and is conveniently located along US 1 and south of E Indiantown Road. The 150 luxurious units are spacious and range in size from 1,900 to 3,500 square feet and feature two to four bedrooms. Amenities include a private gym, movie theater, social room, putting green, outdoor kitchen/entertainment area, unit storage and a resort style pool and spa. Jupiter Yacht Club and Marina offers a very secure, safe and tranquil atmosphere with incredible shopping and dining options just minutes away. A premier location for the yachting enthusiast; the JYC marina offers 79 boat slips up to 65' in length, and is only 1 mile from the Jupiter Inlet. Ocean access is just minutes away from this prime location!